Modern convenience and natural organics—that’s what Greenvale gardening products are famous for and that is what you get with Greenvale’s Border topsoil for sale in Leigh and beyond. It is perfect for all plants and can be used in both flower and vegetable beds. The versalitity of this topsoil has made it one of if not the number one choice of topsoil is Sale in Manchester. You too can benefit from our Border Soil regardless of your location thanks to our delivery service. Greenvale’s Border topsoil for sale Leigh is made up of 40% fine sandy soil and 60% organic compost, which is very easy to work with. This naturally fertile soil is clean-looking and attractive and will look nice in the borders around your house, even if you do not add mulch. It has ideal PH levels and so is great for all types of plants, including the most sensitive flowers. 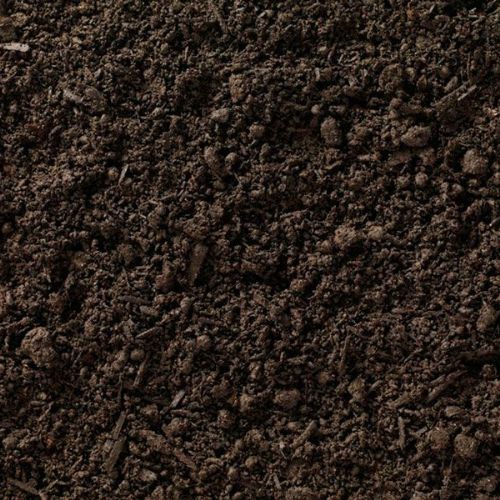 The fantastic features of this soil is sure to compliment any garden, that's why border soil is one of the most popular topsoil Sale wide across Manchester and beyond. Organic compost comes from plant material that has been decomposed over a period of time. Compost adds an array of vital nutrients to your soil and no harmful chemicals. While you can make your own compost, doing so takes large amounts of organic matter (vegetable, fruit peels, corn cobs, etc.) and is time consuming. It is easier and often more cost-effective to buy soil mixtures which already contain organic compost. Busy gardeners know they can trust Greenvale’s great organic products to be exactly what their gardens need. Using already prepared Border Soil spares you the time and trouble of making your own soil mixture. It contains the exact proportion of soil to organic matter; no more guess work about how much of each to put in. The addition of sandy soil to organic compost in the Border Soil blend makes a friable soil with great drainage. It is perfect for roses and other flowering plants that need a well drained soil. Our supplies of border topsoil for sale Leigh and beyond acts as the main soil in a flower bed, vegetable bed, or garden plot. Simply add it to prepared raised beds or excavated beds. It can be used with or without the addition of mulch. This easy-to-use soil mixture is also great for container gardening. If your gardening space is limited, you can still enjoy raising vegetables in containers on your patio or terrace. In addition to being sold by the tonne bag and in bulk, Border Soil is available in large (25 KG) bags. Border Soil can also be used for soil amendment. If your gardens have experienced erosion, simply work some of this good soil around your plants and water well. This Greenvale product will help you make your gardening simpler and your plants greener. We will deliver our sensational topsoil Sale wide in Manchester and beyond thanks to our dedicated delivery team. Obtaining topsoil Sale and beyond has never been easier!